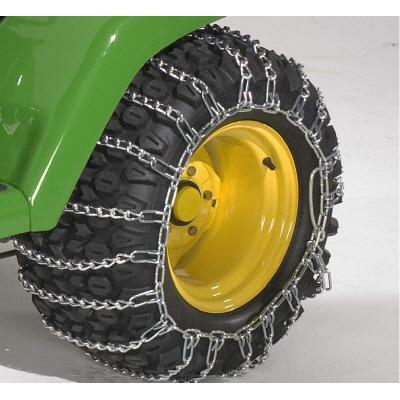 Lay the chains flat in front of each of the rear tractor wheels. You may not be able to unroll the chains completely, as the front wheels of the tractor will be in the way, but unroll them as far as possible. Drive forward until your rear tractor wheels are centered over the chains. Wrap the chains around the so the two ends of the chain meet on the top of the rear wheel. Fasten the end of the chain that has the "J" hooks to the other end of the chain's eyelets. 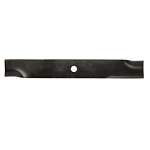 The Chains are very well constructed and appear easy to install. I plan on using them to move snow this winter.